I love flowers and stamps with flowers just make me smile. 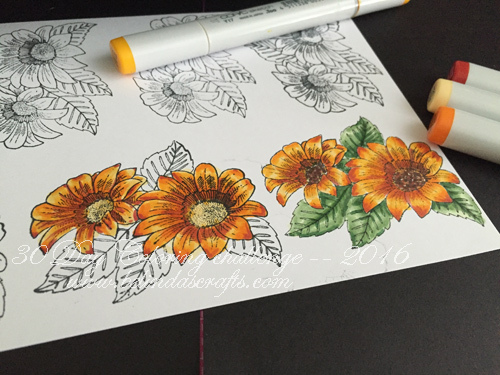 After looking at yesterday’s post from Kathy Raccoosin, who is hosting this challenge, I decided to pull out one of my flower stamps and give it a go. 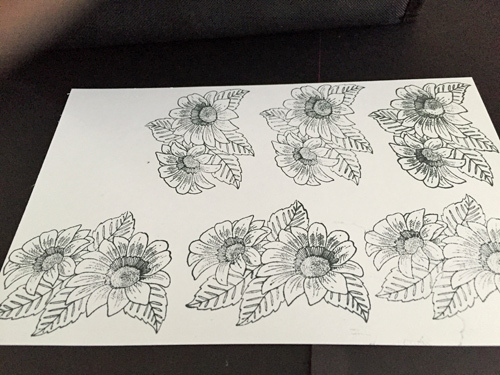 I stamped up a bunch because I intend on cutting them up to make a dimensional flower for a card. 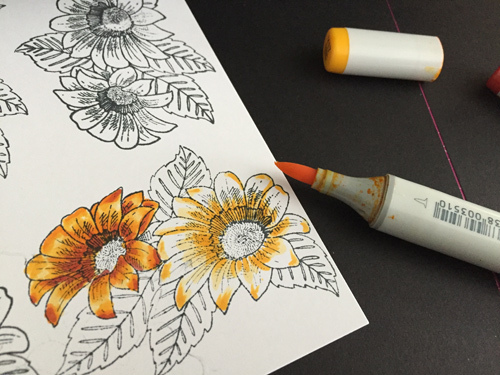 I for some reason, leaned towards yellows, oranges and reds for this flower. But I think I will try a pink combo later. This is as far as I got before I had to pick up the boys from school. My plan was to complete this but Apollo was sick in school so now I am going to cut this short and put on my nurse’s hat for the rest of the day. I will try to finish it tomorrow although I think my “nursing’ duties will extend into tomorrow. Have a blessed night my friends!